Lately I have the pleasure of wearing whatever I want. MI like to wear clothes that promote information about honey bees and the organizations that I belong to, such as the Montgomery County Beekeepers Association, the Maryland State Beekeepers Association, etc. The shirts are great conversation starters with people that I meet. The most common response I get is “Are you really a beekeeper?” Many people are genuinely interested in talking about bees, beekeeping, Colony Collapse Disorder (CCD) and other problems with bees and the environment. Sometimes they ask about where they can buy local honey, or how they can become a beekeeper, etc. While I can talk your ears off about bees and beekeeping, you probably had somewhere else to be. So, I made up some “contact cards” with a link to this page (via Bitly). If you want to share this information with another person who is interested, the easiest thing to do is to share this link: http://bit.ly/2St3k6E. then the best resource to begin with is the local beekeepers organization nearest to your home. In the area that we refer to as “the DMV” (either affectionately or with derision), meaning “the District, Maryland and Virginia” … also referred to as the Washington, DC metropolitan region, we have plenty of groups. Start by perusing the web site of a group that meets near where you live or work. Most of the local groups have done a very good job organizing their web sites so that you can easily find the information that you want. Go to a meeting or an event where you can meet some beekeepers and talk. You will find that beekeepers love to talk about bees and beekeeping. Ask questions, talk about what you are interested in. Be aware that apiculture is a very broad and deep subject and it is subject to many different interpretations and opinions. Most of the local clubs will let you attend a meeting or two without joining. On the other hand, annual membership dues are usually very light … $15 or $20 per year. It is worth joining just to support the club and their outreach and educational objectives. If you are a beekeeper, or you are thinking about becoming one, you definitely should join. If you want to find a mentor, that is the place to start. 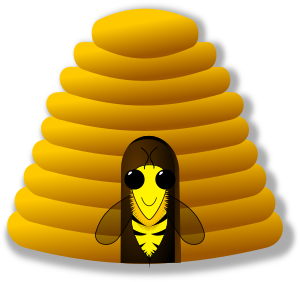 Most clubs have equipment that members can borrow for honey extraction and/or a lending library of books and literature and/or access to “open mentoring” in the club’s beehives where you can learn how to handle bees under the watchful eye of experienced members. Clubs also have one or more email lists or Facebook groups that are a great source of information about beekeeping in the area. Often the blubs are 501(c)(3) non-profits so your contributions may be tax-deductible. Beekeeping clubs also offer beekeeping classes, which are critical to getting started safely as a beekeeper. Those classes fill up very quickly, but they are usually announced to the club members first, and early registration may be limited to club members. Here is a list of the beekeeping clubs that are closest in to Washington DC. If you can’t find a club near you above, look at the list of beekeeping clubs complied by te The Eastern Apiculture Society (EAS) has compiled a list of all beekeeping clubs on the East Coast of the USA and Canada if you can’t find one nearby below.